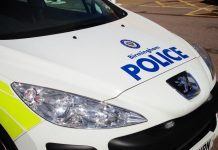 Three salons in Kings Norton have joined together to take a stand against domestic violence and to be a link for their clients who may be in need of help. The idea began when Yvonne Jones of The Hair and Beauty Works in Monyhull Hall Road heard of a scheme in Norfolk where the council organised a domestic violence awareness conference for hairdressers and beauticians in the county. 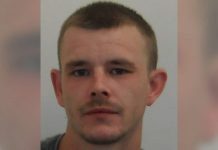 The move came after the murder of 32 year old Kerri McAuley by her partner in 2017. Kerri had confided in her hairdresser before her death. It was recognised that that it may be beneficial for salon staff to have the tools and confidence to know what to do if they suspect a client is in trouble. 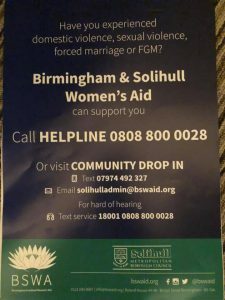 Yvonne was inspired to turn to one of her own clients, who works for Birmingham & Solihull Women’s Aid (BSWA), for advice. 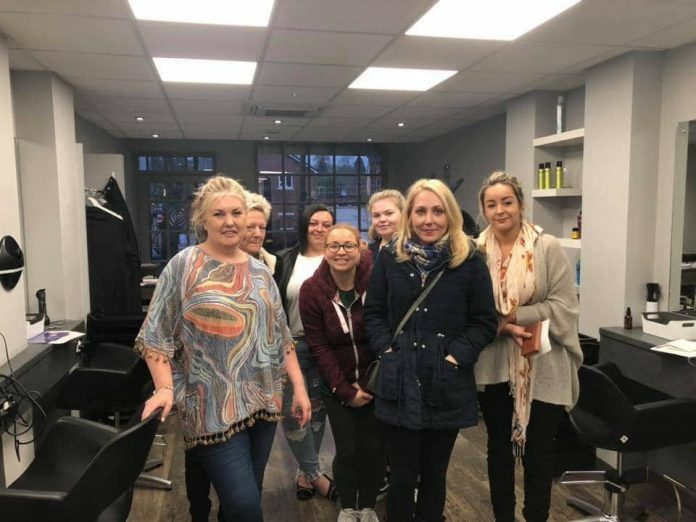 She then teamed with two other Kings Norton salons – The Hair and Beauty Works’ neighbour Urban Tonic and The Hair Shop on The Green – and staff from all three salons received awareness training. Staff are now aware of the signs to look out for and are equipped with literature and advice on signposting to organisations such as BSWA for help. 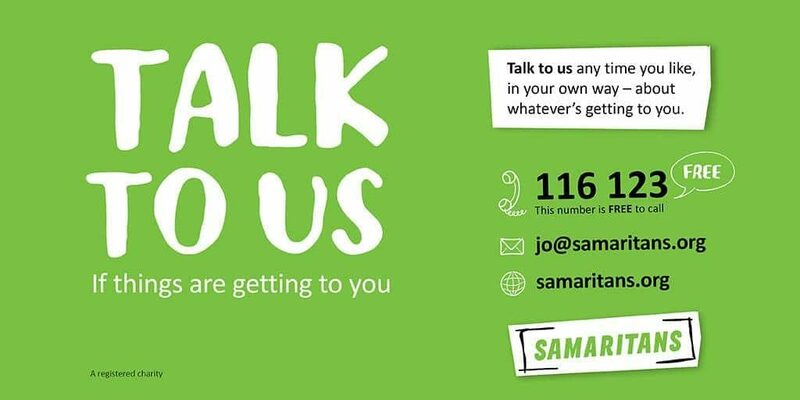 As well as advice literature, each salon will display signs to let clients know that staff are there for them if they need someone to talk to and that the salon is a safe place for those who may need to use a phone other than their own, for example. 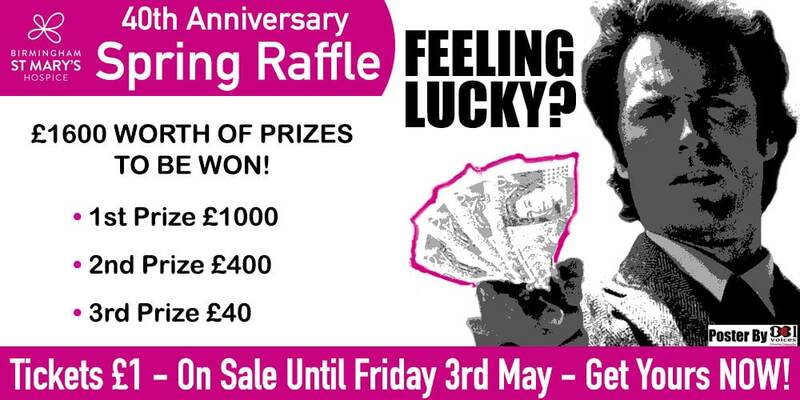 Yvonne said: “I just found the story shocking – that we could be in that position with a client – and felt that we owe it to women out there to be knowledgeable enough to be able to help any ladies that enter our salons as clients. 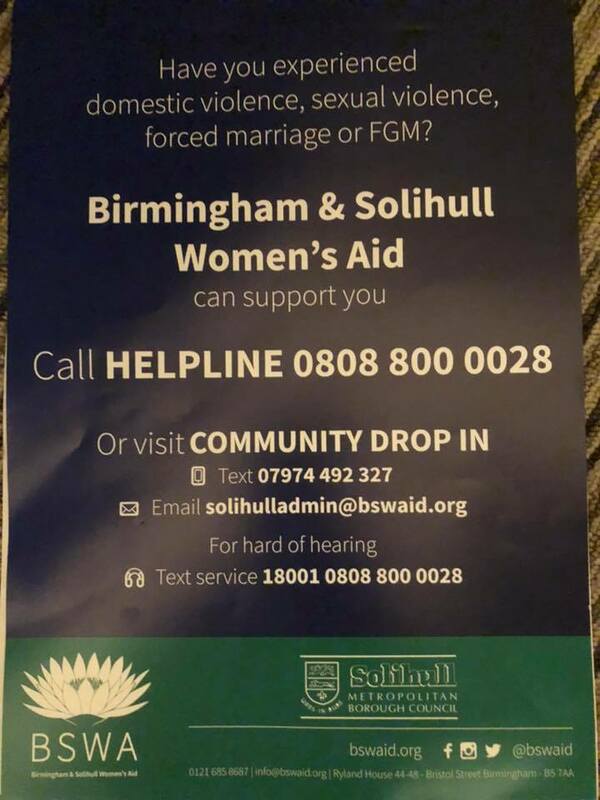 A spokeswoman for Birmingham and Solihull Women’s Aid said: “Domestic abuse is an issue that affects so many women and it isn’t always easy to find out where to go for help. To find out more about BSWA, donate or access support, visit their website. 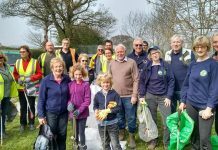 It is good to see some positive articles dominate the B31 pages for a change. 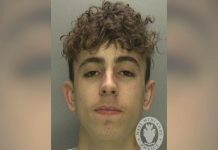 Not wishing to be in denial regarding rising crime and all the other doom and gloom news affecting the region, but I have to say B31 was slowly turning into the Birmingham Mail – the most depressing paper on the planet with its continual emphasis on the city’s underbelly. Domestic abuse is never pleasant of course, but its awareness is vital and articles such a this (and other positive stuff) is always welcome.